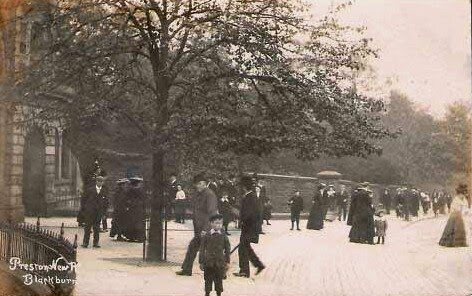 A busy Edwardian scene, probably dating to around 1910. Bet this was taken on a Sunday everyone is in their best clothes. I think you're right John. I have a similar shot, I'll post that sometime soon.